Uttar Pradesh state government has recently launched a new scheme for the labours of the state. 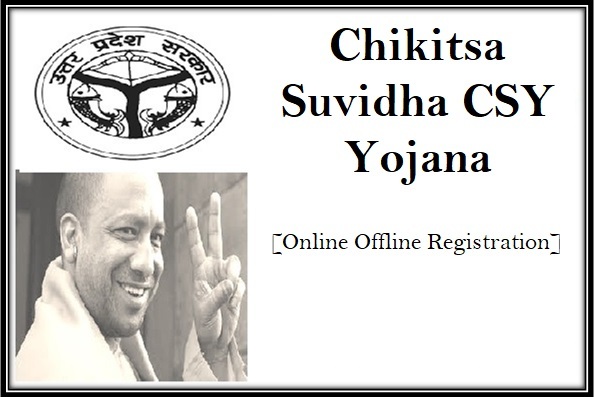 Chikitsa Suvidha Yojana or CSY in UP is all about medical treatment of the labours across Uttar Pradesh. Yearly money will be provided to the applicant for medical treatment under the scheme. Medical Treatment Facility: The scheme is, as said about the medical treatment of the labours of the state. Male or female workers and labours can be part of this scheme. They will get treatment facility in any unpleasant medical condition. Financial Help: The main aim of the scheme is to provide financial help to the labours for their medical treatment. In any emergency situation labours must be ready to go for medical help. Beneficiaries: Nearly 55, 000 labours across the state are said to be benefitted from the scheme namely Chikitsa Suvidha Yojana. The scheme is designed for the labours of the state only. It is said that under this scheme a certain amount of money Rs. 3000/- will be credited to the bank account of the candidate under the scheme. It is a yearly amount that to be paid to the candidate. If the candidate is not married, then they will get Rs. 2000/- per year. For the married couples the amount of Rs. 3000/- will be credited to wife’s bank account. Medicine charges: This 3000/- will be considered as the medicine cost that is needed for the treatment of regular medical issues like fever, cold, cough and such. Residential proof – The candidates must be the domicile of Uttar Pradesh. That is the candidate or applicant must have aadhaar or voter ID card issued in UP. Also the permanent address of the candidate must be somewhere in the Uttar Pradesh. Labours of the state: Any labour male or female will be considered under the scheme. They can get the benefit of the scheme equally. Age proof – As far as the age group is concerned, this is a labour related scheme so the candidate must not be a minor. The applicant must have crossed the age 18 years. Bank account –The candidate has to have a valid and active bank account to register under the scheme. Aadhar card – The candidates have to carry aadhaar card to register under the scheme. As mentioned that the scheme is only for the domicile of the state, UP, the candidate must submit the ration card as well. Bank details – Candidates have to have active bank account. Documents related to bank account that is pass book and statement must be submitted at the time of registration. All these documents are very important and must be presented at the time of application submission. If any of these mentioned documents is missing then the application of the candidate will not be considered. To apply for the scheme one has to follow below mentioned steps. There are two ways to apply for the scheme, online and offline. Application forms are available in the District Collectors’ offices. The candidates can visit the offices, collect the form and submit the application form along with documents. To get the online form the candidate has to visit the official website of the scheme http://uplabour.gov.in/. To register in the website, candidates are required to fill up the registration form mentioned in the website. This is not the scheme application form. Once the registration will be done, a system generated login Id and password will be sent to the candidate in his/her mobile number. With the help of that login ID and password the candidate has to log in to the website. Once you log in to the website, the application form for the same will easily be available there in the website. Fill it up with correct information and submit the form. In last few years the situation for the labours in UP have been deteriorating. They are not only getting poorer but also it is hard for them to get two full meals. In this situation it is impossible for them to spend money on medical treatments. The state government of UP has initiated the scheme to provide handful of money to each labour’s family for emergency medical purpose. The Labour Acts Department in Uttar Pradesh has made registration and/or renewal of acts easier with the online system. All interested candidates will be able to log on to the portal by clicking on the link http://uplabouracts.in/. Candidates will be able to register through this site to access application as well as renewal forms. With this portal, candidates will not have to worry about their documentation. They will be able to do the needful as per their convenience. This portal makes the entire process paperless, less time-consuming and effortless. It will also give the Yogi government a stronger foundation for the establishment of e-governance in all departments.